A small percentage (2-3%) of adults suffer from bedwetting (nocturnal enuresis). This involuntary voiding of urine during sleep in many cases indicate a urological disorder and it can be treated in most cases if the causes are known. Weakening of urethral sphincter muscles and pelvic floor muscles due to old age, lack of exercise or prolonged illness requiring rest, may lead to involuntary voiding of urine during sleep. In such situation the affected person may have difficulty in holding urine in the daytime also and in some cases urine may keep dripping in the daytime. Urine production in the night is slowed down by antidiuretic hormone produced by the body. In some cases there may be imbalances in the hormone production due to varied reasons and result in bladder filling beyond its capacity in the night resulting in voiding of urine in sleep. In persons suffering from diabetes the body increases the urine output to eliminate the excess of blood sugar. In such cases the bladder gets filled up fast and in night and may void during sleep. In certain health disorders diuretic medicines are prescribed to get the body rid off excess fluid and/or sodium. In such persons taking diuretic medicines in the evening or night causes nocturnal enuresis. Infection or cancer in the urinary tract or bladder causes frequent and urgent need for urination and the bladder may void during sleep. Caffeine in coffee and other beverages has diuretic effects. Alcohol also has diuretic effects and may stimulate voiding bladder during sleep. Higher doses of vitamins like vitamin B6 and C and minerals like potassium have diuretic effects and may cause nocturnal enuresis. Stress, trauma, anxiety, fear, emotional imbalance, Alzheimer's disease or psychological disorders can result in nocturnal enuresis. In pregnancy, prostate gland enlargement or cancer, chronic constipation or obesity, continuous pressure may be exerted on the bladder and this may result in nocturnal enuresis. It is found that some people are genetically predisposed for nocturnal enuresis. Children of parents suffering from nocturnal enuresis have greater risk of getting nocturnal enuresis. Some persons with genetic predisposition start nocturnal enuresis in their childhood and continue through their adulthood. In obstructive sleep apnea, the affected persons hold their breath for brief periods during their sleep. In such adults increased urine production as well as pressure on the abdomen causes bedwetting. Bedwetting is the most common pediatric problem and the causes are many. One of the most common causes of bedwetting is the delay in neurological development. The nervous system may be slow in developing and may be slow in processing the sense of full bladder. The development of the endocrine function in production of antidiuretic hormone may be slow and urine may be produced at the same rate both in the day and night. Genetic mark up also plays a big role and causes bedwetting in children. Children of parents who had bedwetting problems are at the high risk of bedwetting. Lack of bed-time hygiene like urinating before going to bed and avoiding drinking too much liquids before bed-time can lead to nocturnal enuresis. The causes listed above are usually associated with primary nocturnal enuresis (PNE) and in secondary nocturnal enuresis (SNE), infections, diseases, physical abnormalities or psychological disorders may be the causes. Infections and diseases of the urinary bladder can lead to secondary nocturnal enuresis with impaired bladder control and increased chances of even daytime enuresis. There can be urinary tract abnormality or smaller than normal bladder in some persons which causes secondary nocturnal enuresis. 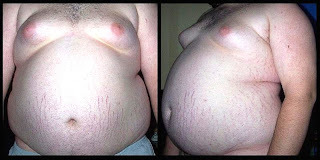 In many instances this type of physical abnormality can be corrected by surgical procedures. In some children chronic constipation causes bedwetting due to pressure on the bladder. Use of diuretic medicines and chemicals, alcohol or caffeine increases the chances for secondary nocturnal enuresis. The abnormal function of hypothalamus in production of preprohormone precursor or its storage in vesicles at the posterior pituitary can affect the production of antidiuretic hormone (ADH). Insufficient production of antidiuretic hormone (ADH), Arginine vasopressin (AVP), can lead to uniform rate of production of urine both in the day and night which causes secondary nocturnal enuresis. Psychological issues, especially in children, like death in the family, physical abuse or extreme ill-treatment may lead to secondary bedwetting in children. Life stresses like moving to a new place, conflict in the family, divorce in the family, new school, newborn in the family or loss of pet can be the causes of bedwetting. It is very likely that children with ADHD (Attention deficit hyperactivity disorder) show secondary bedwetting. Secondary nocturnal enuresis is one of the symptoms of pediatric neuropsychological disorder called PANDAS (Pediatric Autoimmune Neuropsychiatric Disorders Associated with Streptococcal infections). Persons affected by sleep walking in many instances also suffer from secondary nocturnal enuresis and may even urinate while sleepwalking. Obstructive sleep apnea (OSA), a condition characterized by abnormal pauses in breathing, sometimes causes secondary bedwetting. Bedwetting is involuntary urination problem during sleep even after the age when usually bladder control occurs. Bedwetting is the most common urological problem in children and a frequent pediatric health issue. Most bedwetting is not an illness or emotional problem and it is only a developmental delay of bladder control. The medical term for bedwetting (also spelled as bedwetting) is nocturnal enuresis, which can be primary or secondary. Primary nocturnal enuresis (PNE) occurs when the child has not yet had fairly long period of being dry in the bed during sleep. In secondary nocturnal enuresis (SNE) a child or an adult starts having bedwetting problem after having remained dry for considerable time. Secondary nocturnal enuresis is usually a medical condition involving emotional stress and/or bladder infection. As the infant grows, the nerve-muscle coordination as well as control of urine production develops. Two physiological body functions prevent the problems of bedwetting and help a person stay dry during sleep. In human body, there is a hormonal control and suppression of urine production during the night Arginine vasopressin (AVP), a neurohypophysial hormone which has antidiuretic action, is released by body after dusk. This hormone release reduces the urine output and the bladder is not full until morning. However this hormone cycle is not present at birth and a child starts developing it around the age of two years. Many children have the hormone cycle fairly developed by six years while for some the development may extend up to puberty while for a few it may not develop at all. The body function contributing to bladder control in sleep is 'getting awake when the bladder is near full'. This sense of awakening when the bladder is full, also develops during two to five years of age but is independent of hormone cycle. Bedwetting problems are encountered more in boys than girls and usually girls start staying dry by sixth year while boys start staying dry by seventh year. 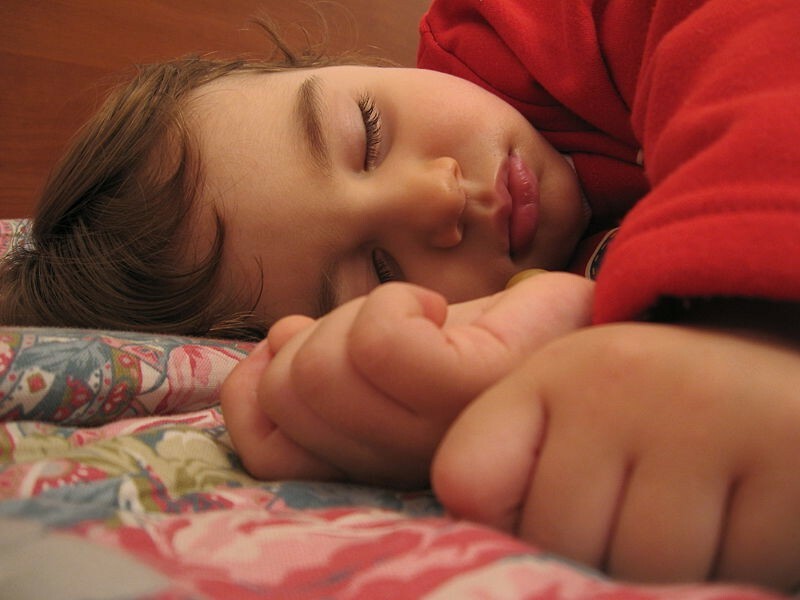 Many sleep problems and issues are faced by children and some of them are listed below. The foremost obstacle faced by children is having difficulty and being unable to fall asleep. Lack of sufficient sleep in the night making them feel dull and distracted in the day. Excess napping in the daytime keeping them awake in the night. Waking up frequently in the night is required to be corrected and the reasons are many. Many children have issues like bedwetting preventing them from sound rest. Bedwetting is one of the most common pediatric health problems and is most common urological issues. Most bedwetting is usually developmental delay and not a physical illness or emotional disorder. Bedwetting children may suffer psychological injury or emotional stress when they feel ashamed by the condition and lose their self-esteem. Some children have bruxism activity with symptoms like teeth grinding, jaw clenching, chewing and sucking. The underlying causes for bruxism may be poor bedtime habits, nutritional deficiencies, anxiety and emotional problems. Some youngsters wake up crying and the causes may be emotional stress, physical problems or nightmares. Sleep walking, talking, night terrors are issues called 'parasomnias' requiring attention. Night terror is different from nightmare and in night terror, the youngster appears awake, cries uncontrollably, appears confused and is unable to communicate. However as the children grow and mature they get over most of these sleep issues and problems. Sleep and children - How much sleep do children need? Good sleep is very important for children to have bubbling happy nature and renewed energy. For children, sleeping well is often the result of having good sleep habits and hygiene, which necessarily the parents are responsible for inculcating in their children. How much sleep do newborns need? 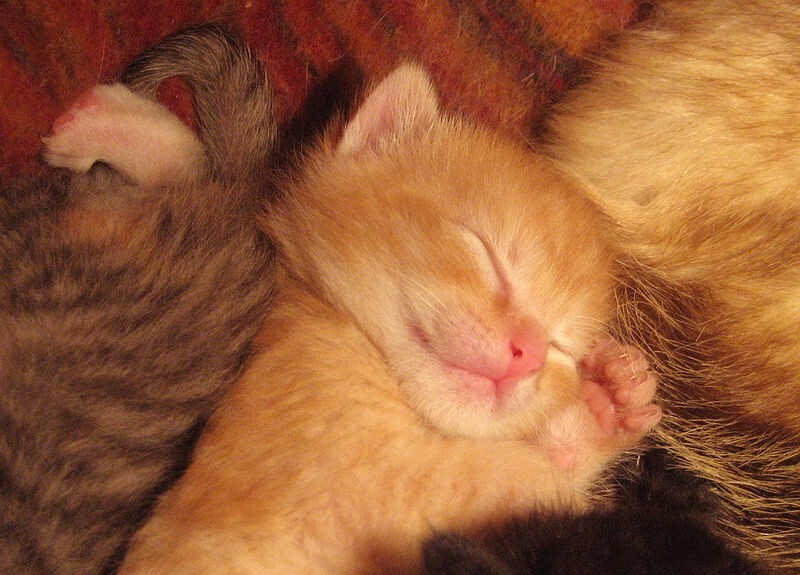 Newborns usually sleep for 17 to 19 hours a day and wake up every two to three hours for feed. As long as the child is feeding well and gaining weight slight variance in wakeful time does not matter. How much sleep do infants (3 to 11 months) need? Infants sleep from 14 to 15 hours a day, sleeping five to six hours in the day and rest of the time in the night. They may wake up twice or thrice in the night for feed. How much sleep do toddlers need? Toddlers sleep between 12 to 14 hours a day, of which two to three hours may be in the daytime. How much sleep do preschool children need? Children of three to four years age sleep between 11 to 13 hours a day of which two hours may be in the daytime. Children of school going age usually require about 10 hours of sleep in the night. As they grow up the sleep requirement will come down to about eight hours a day. Making the bedroom sleep friendly increases the quality of sleep. Even after sleeping the required hours, if one still has problem waking up and concentrating on his daily works it is apparent that he must have had poor sleep and he requires to change his sleep environment. Bedroom environment has a great effect on the quality of sleep. To have a good sleep it is important that the noise levels in the bedroom are low. Though people get used to sleep in noises like roaring of passing aircraft or traffic noise, studies have shown that these noises still disturb sleep. Here are some tips to keep up your sleep hygiene. Do not go to bed unless you are sleepy. Read some magazine, hear to light music or read a book; do something relaxing and do not worry about getting sleep. Doing something ritualistic like hearing to music, reading, warm bath or light snacks daily can help in getting sleep. Even after 15 minutes if you are not asleep, get out of the bed and do something relaxing. Better use living room for all other daytime activities and reserve bedroom only for going to sleep. Do not watch TV, read, write, eat, play games or do telephonic conversations from the bed. Wake up early in the morning and adjust your going to bed accordingly to have a good eight hours sleep. Avoid naps in the afternoon and if at all you require to take one, do not sleep for more than an hour and have the nap in the early afternoon. Do not take alcoholic beverages at least 4 to 5 hours before your bedtime. Do not take heavy meals in the evening and do not go to bed with an empty stomach. Do not exercise vigorously in the evening and give a gap of at least four hours before bedtime. Do not smoke before bedtime and also do not take anything stimulating like coffee or tea before bedtime. Most healthy adults require up to eight hours of restful sleep each night for their healthy function. However, sleep requirements may vary from person to person. Follow a bedtime routine and everyday better go to bed at the same time. Even on weekends, fight the temptation to stay late and follow your bedtime routine. With enough sleep you will wake up naturally without any help. If you are not able to wake up in time, then go to bed earlier so that you get your required sleep. Even on weekends, do not sleep longer, and maintain your wake-up time. If you have to make up for lost sleep, take a short nap and do not change your routine sleeping schedule. Nap can be a great recharge for your energy, and short nap (about 30 minutes) in the early afternoon will do. Do not sleep longer than one hour in the afternoon as it will affect your natural sleep-wake rhythm. Even if you feel sleepy after your dinner, keep awake by engaging yourself in mild activities till your bedtime. Totally avoid mind stimulating games, Internet browsing, caffeine drinks just before your bedtime. Sleep hygiene can be defined as the methods of controlling "environmental and personal behavioural factors interfering with sleep". These factors can both precede sleep and occur during sleep. Sleep hygiene is the practice of following methods to ensure effective and restful sleep for promoting daytime alertness and agility. Following sleep hygiene also helps in avoiding certain kind of sleep disorders as well as treating them. The tell-tale sign of poor sleep hygiene is daytime sleepiness and trouble getting sleep. Sleep hygiene involves timing of sleep, timing of food and quality of food, exercise, mental conditioning, following routines, sleep environment etc. Sleep hygiene is also about re-education of people with sleep problems by advising them about how to avoid sleep deprivation, how to respond to unwanted awakenings from sleep if these occur and about adaptive, homeostatic and circadian aspects of sleep control. The cure to poor sleep hygiene lies in optimizing your nightly rest with pre-sleep schedule, a routine sleep schedule and bedtime habits. Sugarcane belongs to genus Saccharum, which are tall perennial grasses. Sugar cane is native to tropical and warm temperate regions of Asia and has fibrous, stout, jointed stalks. 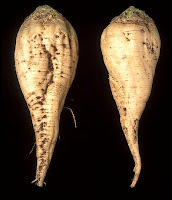 It is found to grow from 2 to 6 meters in height and the stalks are rich in sugary juice. Sugar cane has been hybrid and many varieties have been evolved having greater yields of sugar. It is grown in more than 100 countries and about 1600 million metric tons of cane is produced all over the world. 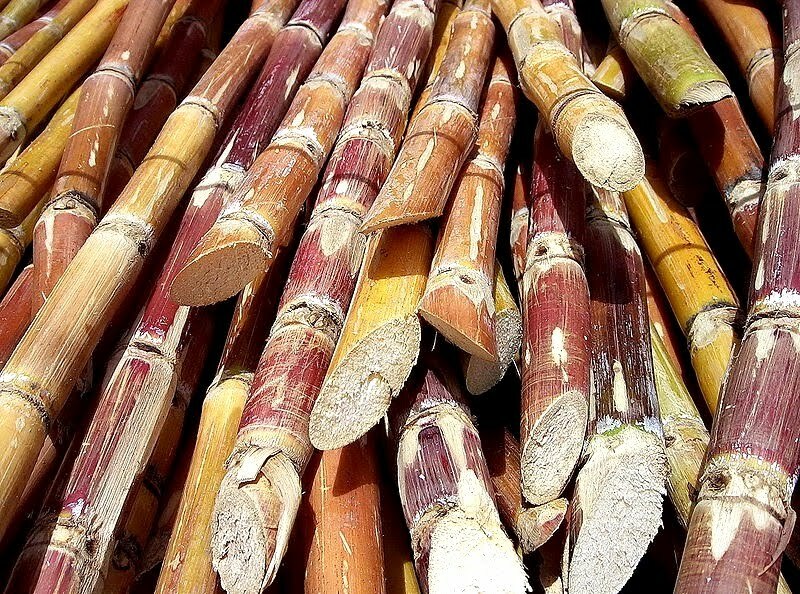 About 50% of the world sugarcane production is from Brazil and India. 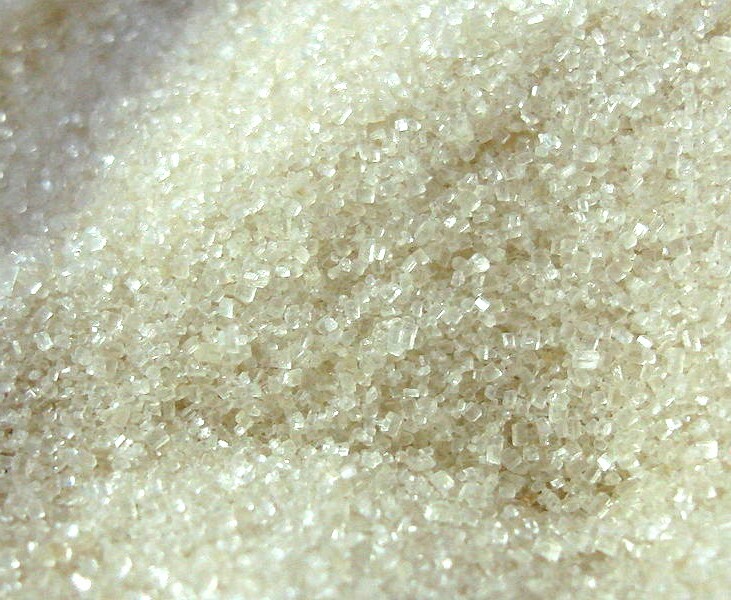 In India crystallized sugar was mentioned more than 5000 years ago. During the 7th century, sugarcane was introduced to North Africa, West Asia, Middle East and Mediterranean regions. Portuguese and Andalusians (South Spain) introduced sugarcane to Americas. The shredded cane is repeatedly mixed with water and crushed between rollers to squeeze out the sugar juice. The solid wastes are called bagasse and are used as fuel. The juice is usually of 10-15 percent sucrose concentration and lime is added to it to increase pH to arrest fermentation and to precipitate suspended waste. In multiple-effect evaporator, the clarified juice is concentrated to 60 percent sucrose syrup. Under vacuum this syrup is further concentrated for its supersaturation. This supersaturated syrup is seeded with sugar crystals and cooled to crystallize sugar from the syrup. By centrifuging the crystalline sucrose is separated from the molasses. This process is repeated again and again to recover more sugar till no more crystals are forming. However the remnant molasses may still contain 20-30 percent sucrose and 25 percent glucose and fructose. 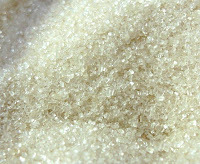 The raw sucrose, which may appear yellow or brown is further refined to produce white crystalline cane sugar. In 1957, HFCS (High-fructose corn syrup) was first introduced by Earl R. Kooi and Richard O. Marshall. However they could not achieve successful viable large scale production. In 1965-1970, at Agency of Industrial Science and Technology of Ministry of International Trade and Industry of Japan, Dr. Y. Takasaki created the commercial production process for high-fructose corn syrup. Corn is milled to get cornstarch. Then the cornstarch is treated with enzyme alpha-amylase to produce oligosaccharides ( with short chains of sugar). Oligosaccharides are broken down into glucose by the enzyme glucoamylase produced by the Aspergillus fungus in the fermentation vessel. Another enzyme, xylose isomerase (also called aka glucose isomerase) converts glucose into a mixture of fructose and glucose at 42% and 50% respectively. The enzymes alpha-amylase and glucoamylase are inexpensive and are added to the corn slurry directly during production. However the enzyme xylose isomerase being expensive is packed in columns and sugar slurry is passed over it for the enzymatic reaction. The xylose isomerase is reused repeatedly till its activity is lost. HFCS 42 produced thus is purified and enriched by liquid chromatography step to obtain HFCS 90 with 90% fructose content. By adding HFCS $2 and HFCS 90 in appropriate ratios High-fructose corn syrup 55 in formulated. HFCS (high-fructose corn syrup) are corp syrups which have been processed with enzymes to convert some of the glucose present in them into fructose. In UK high-fructose corn syrup is called as glucose-fructose syrup and in Canada it is called as glucose/fructose. In United States HFCS is typically used as sugar substitute in the consumer products due to lower prices than imported beet/cane sugar. Lower corn production costs, subsidies for corn production and import tariff on imported sugar from foreign countries have made high-fructose corn syrup cost effective for food sweetening in U.S. In 1976 FDA (U.S. Food and Drug Administration), had classified HFCS as "generally recognized as safe (GRAS)". Most of the processed foods, beverages, soft drinks, breads, cereal preparations and fast foods in U.S. use high-fructose corn syrup for imparting sweetness. There are gradation in high-fructose corn syrup as HFCS 42, HFCS 55 and HFCS 90 in which the number informs us the percentage of fructose in it. HFCS 42, containing 42% fructose and 53% glucose is used primarily in baked products and foods. 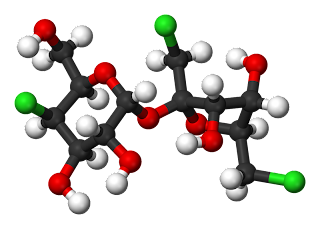 HFCS 55, containing 55% fructose and 42% glucose is primarily used in soft drinks. High-fructose corn syrup 90, containing 90% fructose and 10% glucose has use in some speciality preparations and is blended with HFCS 42 for making HFCS 55. Soft drinks consumption is being associated to many health problems like heart diseases, obesity, type 11 diabetes, tooth decay, nutritional depletion and low nutritional levels. 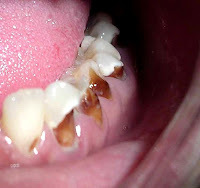 Soft drinks can be equated to liquid candies, and the first victim of their frequent consumption is tooth. The high levels of carbohydrates and simple sugars present in them tend to ferment in oral cavity and affect the dental health by the formation of dental plaque and tooth decay. 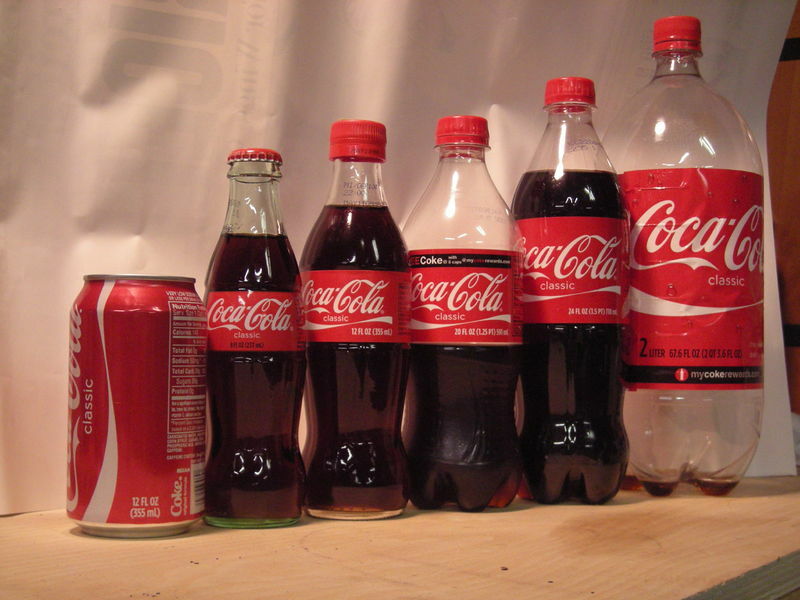 Further, most of the soft drinks are acidic in nature due to the ingredients used and also due to carbonating them. Slow sipping of these beverages (acidic in nature) over a period of time can affect dental health by eroding the tooth enamel and causing cavities. Drinking soft drinks through a straw must be preferred as the beverage gets swallowed from the rear end of the mouth giving less exposure to teeth. Chronic consumption of these beverages has been found to give rise to health problems like low potassium levels (hypokalemia). There is a possibility of more excretion of calcium and lowered intake of calcium when these drinks are consumed frequently leading to loss of bone density. Unless fortified with nutrients, these drinks are very low in vitamins, minerals, proteins, essential fatty acids and essential amino acids required for general health. 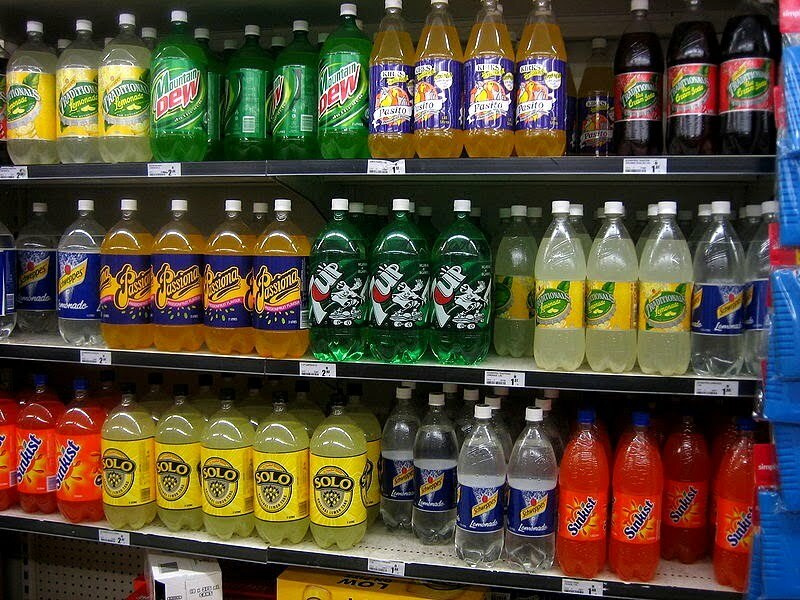 Soft drinks deliver high food energy and calories and frequent consumption can give rise to obesity, diabetes and related cardiac health problems. Sugar (sucrose) substitutes usually have less calories than sucrose and duplicate its effects in sweet taste. These food additives can be from natural source or synthetic. These man made synthetic sweetening products are usually termed as artificial sweeteners. Some of the sucrose substitutes are called as high-intensity sweeteners whose sweetness is many times that of sugar. These high-intensity sweeteners are required in smaller quantities for the sweetening effect than sucrose and contribute very less to energy. The cost of these sweeteners in much less than that of sucrose and also smaller quantities are required for addition. With the tag of "diet" or "light" product, the food and beverage industry is presently promoting products with artificial sweeteners giving then greater profits. Aspartame and sucralose are the most popular artificial sweeteners in the United States sugar substitutes market. The definition of health by WHO states that "It is a state of complete physical, mental and social well-being and not merely the absence of disease or infirmity". In the definition of physical health it can be stated that "it is an important part of the overall well-being of a person. It includes fitness, agility, cardiovascular condition, endurance, muscular strength etc." It is a state of complete well-being in which a person is totally fit to perform his daily routine activities without any hindrance. This description is very broad and covers every aspect of outward activities by our body and also perfect performance of our internal organs. Our outward activities like, walking, running, seeing, hearing etc. must be fine tuned and normal. Our internal organ systems and their activities must be perfect and normal in a state of fitness. Hence another definition of physical health may be stated as "a way to maintain our well-being and fitness with activities which enhance our overall well-being by sufficient exercise and right type of nutrition." The prevalence of obesity in United States has doubled during the period 1980 to 2005. During the same period soft drink consumption also has doubled. Many studies both in adults and children have confirmed that drinking of sugar-sweetened soft drinks had increased the body weight and BMI (body mass index). In another study on 50,000 female nurses conducted for 8 years a gain of 8 kg in weight was recorded in women who had more than one soft drinks a day. In another experiment two batches of school children were given sugar-sweetened drinks or sugar substitute added drinks. In children taking sugar-sweetened beverages weight gain and obesity were recorded. In another experiment soft drinks giving 450 calorie/day were given to one group and jelly beans with nutritional value of 450 calorie/day were given to another group. The beverage group gained weight whereas the jelly bean group did not gain weight. So it was inferred that jelly beans lowered the calorie intake in subsequent meals by providing satiety. However these drinks did not provide any satiation and the subsequently higher calorie meals were taken by the subjects leading to their weight gain and obesity. This person with a height of 177 cm (5 ft 10 in) had a BMI of 47 kg/m2 and weighted 146 kg (322 lb). Frequent consumption of sugar-sweetened soft drinks can lead to obesity related diseases like diabetes, cardiovascular diseases, high blood pressure and metabolic syndromes. Sugar substitutes are being used for a number of health reasons. Most of the products are much cheaper than sugar. In dental care sugar substitutes are tooth-friendly as they are not fermented by the dental plaque forming microscopic organism in the teeth. In weight management, they reduce the food energy intake (calorie intake), and help in losing weight. Persons affected by Diabetes mellitus have difficulty in their regulation of blood glucose. They can help them in reducing the glucose spike in their blood levels. Persons with reactive hypoglycemia have insulin produced in excess after absorption of glucose into their blood stream. This may cause rapid fall of blood glucose leading to giddiness and impaired body functions. They should avoid high glycemic foods and the sugar substitutes help them in avoiding insulin spikes. 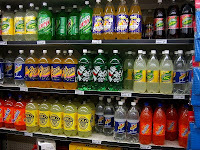 Soft drink is produced commercially in factories and can also be produced at home. Production of soft drink requires clean sterile water, dry or fresh ingredients like concentrates or juices, sweeteners, carbonating equipment and suitable container. The foremost requirement in production of beverages is clean water and its sufficient availability. Further if the water is free from dissolved impurities, it will be a great advantage. Water is coagulated and filtered for removing impurities and suspended matter. Then it is chlorinated to improve its microbiological status by destroying the bacteria. The chlorinated water is passed through activated carbon filter bed to remove all organic debris arising out of chlorination. In the above process the base water also gets dechlorinated and is further deaerated by vacuum pump. This base water is then pumped into batch tanks and the previously prepared ingredient concentrates are pumped in predetermined quantities and mixed well with the water. The vessels are pressurized with carbon dioxide to prevent aeration during mixing and to increase dissolution of carbon dioxide. At this stage, the liquid is cooled to dissolve more carbon dioxide. Now the drink may be sterilized by ultraviolet rays radiation or by pasteurization (a must for fruit drink). Then the liquid is filled into bottles or cans at the filling station and sealed with suitable closures. After labelling, the soft drink containers are packed into cartons and shipped out of the production center to distribution points. The history of soft drinks can be traced back to medieval days and there are records of use of mineral waters in medieval history. The earliest soft drinks (sherbets) were developed by Arabic alchemists and were in use in medieval Near East. In English history records on soft drinks it is found that in 1260s, naturally carbonated (fermented) drinks were made from the roots of burdock (Arctium lappa) and dandelion (Taraxacum officinale). Soft drinks made from lemon juice (diluted with water and sweetened with honey) were marketed 1670s. Joseph priestley from England made history by discovering the method of infusing carbon dioxide into water to make carbonated water (soda water), in 1767. Torbern Bergman from Sweden made history by inventing an apparatus for producing carbonated water from chalk by addition of sulfuric acid. Later in late 18th century, fruit juices, herbs, spices and wine were added to the carbonated water to give flavors. Benjamin Silliman (Yale chemistry professor) sold soda waters in New Haven, Connecticut in 1806. In the 1830s, John Lippincott of Philadelphia and John Matthews of New York City made history by starting the manufacture of soda fountains and both built large factories for fabricating soda fountains. In United States, in 1950s, Phosphate Soda became very popular drinks and were made by adding orange syrup and phosphoric acid to carbonated water. Earlier in the history of glass industry the manufacturing process had limitations and carbonated soft drinks were sold by the chemists from soda fountains. Early 20th century saw the expanding sales of bottled soda and later canned soft drinks became popular in the second half of the 20th century. What is a soft drink? Why is it called soft drink? A soft drink is also referred to as fizzy drink, soda pop or soda. Soft drink is usually carbonated water sweetened with sugar or syrup and added flavoring agent and/or fruit juice. It is typically a non-alcoholic beverage and if at all it contains traces of alcohol the percentage should not exceed 0.5% of the volume. The term 'soft drink' is opposite of the term 'hard drink' which normally denotes alcoholic beverage. A soft drink typically does not contain any milk or dairy products. Further it excludes hot tea, hot coffee, hot chocolate drink, milk shake and juice. 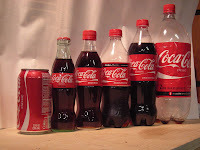 Nowadays diet version of soft drinks are available, which have sweeteners substituting sugar giving reduced calories. In the definition of health, the World Health Organization (WHO) emphasises the three aspects of physical, mental and social well being. Healthcare inequality (also called health disparity in some countries) refers to growing gaps in quality of healthcare and its access across ethnic, racial, gender and economic groups. There are population-specific differences in the presence of disease, well being, or access to healthcare. Another definition is 'methods to lessen the effects of social determinants on the well being of individuals and societies. These determinants with ramifying effects are the social and economic conditions that shape the health of communities, individuals, and jurisdictions as a whole. These conditions determine whether one will remain healthy or become ill. These determinants are about the quantity and quality of a variety of resources that a society makes available to its members. These determinants also decide the extent to which a individual possesses the personal and physical resources to satisfy needs, identify and achieve personal wishes and aspirations, cope with the environment and face exigencies (a broader definition of social health). Charles-Edward Amory Winslow was an American public health expert and bacteriologist. His seminal works in public health have been acknowledged all over the world. Charles-Edward Amory Winslow was born on 4th February 1877 in Boston, Massachusetts, and studied in Massachusetts Institute of Technology (M.I.T.). He obtained his B.S. in 1898 and his M.S. in 1910. He married Anne Fuller Rogers in 1907. He taught at the M.I.T. (Massachusetts Institute of Technology) from 1908 to 1910 and later taught at the City college, New York from 1910 to 1914. Charles-Edward Amory Winslow was the charter member of the Society of American Bacteriologists (founded in 1899). Later he joined Yale Medical School and founded public health department in 1915 and was professor and chairman of the Yale Department of Public Health till his retirement in 1945. From 1944 to 1954, he was editor of the American Journal of Public Health. From 1932 to 1957 Charles-Edward Amory Winslow was also the director of Yale's J.B. Pierce Laboratory. From 1910 to 1922 he was curator of public health at the American Museum of Natural History. He became president of the American Public Health Association in 1926 and was a consultant to the WHO in 1950s. Professor Charles-Edward Amory Winslow died after a long illness on Tuesday, January 8, 1957. From 1916 to 1944, Charles-Edward Amory Winslow was the Editor-in-Chief of the Journal of Bacteriology. The approach to medicine that is concerned with the health of the community as a whole. This science is divided into fields like biostatistics, environment, social behaviour, epidemiology, occupation and epidemiology. This public service has two distinct characteristics. The first characteristic deals with preventive rather than curative aspects. The second characteristic deals with population-level, rather than individual-level of issues. Now the focus of this social service is to prevent rather than treat a disease through surveillance, follow up and monitoring of cases and the promotion of cleanliness. In addition, in most cases treating a disease can be vital and important to preventing its spread to others, such as during an outbreak of infectious epidemic. It is also equally important to protect a community from contaminated food or water sources. Vaccination programs and distribution of medical face masks are examples of public health measures. Mental health is an important, essential and integral constituent of health. 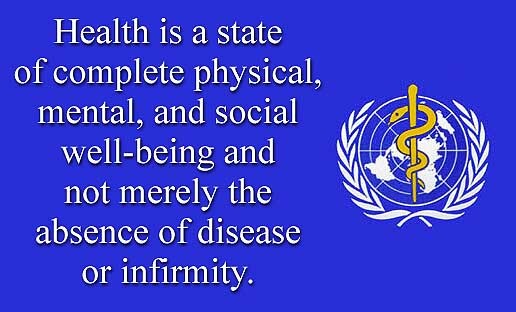 The WHO definition states: "Health is a state of complete physical, mental and social well-being and not merely the absence of disease or infirmity." Hence on the basis of the above definition, we can redefine mental health as a state of complete psychological well-being and not merely the absence of psychological disabilities or disorders. The WHO defines as "a being of well-being in which the individual realizes his or her own abilities, can cope with the normal stresses of life, can work productively and fruitfully, and is able to make a contribution to his or her community". Emotional wellness is not only the foundation for individual well-being but also foundation for the effective functioning of a community. Psychological wellness is a positive attribute which contributes to emotional well-being, creativity and capacity to take on the challenges of life. At any point of time, wellness of a person's mind is determined by many biological, psychological and social factors. Persistent stress and socio-economic pressures affect the emotional well-being of individuals and communities. Hence its definition is more than the mere absence of a mental illness or disorder. Education, culture, physical health and society can have great impact on the mind and health of a person. 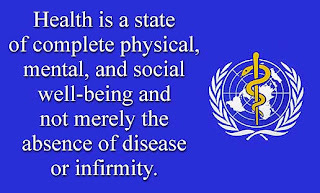 Preamble to the Constitution of this World Organization as adopted by the International Health Conference, New York, 19-22 June, 1946; signed on 22 July 1946 by the representatives of 61 States (Official Records of this World Organization, no. 2, p. 100) and entered into force on 7 April 1948. The Definition has not been amended since 1948. In 1986, the WHO, in the Ottawa Charter for Health Promotion, said that it is "a resource for everyday life, not the objective of living. It is a positive concept emphasizing social and personal resources, as well as physical capacities." The state of being hale and sound, in body and mind and being in the state free from physical disease or pain. The condition of being sound in body, mind, or spirit; especially : freedom from physical disease or pain. 1.The overall condition of an organism at a given time. 2. Soundness, especially of body or mind; freedom from disease or abnormality.